Androgenetic alopecia ( AGA ) is the commonest form of hair loss affecting both men and women. It affects around 50% of men and between 20% – 50 % of women by the age of 50. Both androgenic alopecia and telogen effluvium can be treated with mesotherapy, with results ranging from good to excellentAndrogenic alopecia is defined by a chronic, diffuse, progressive hair loss. Patients have hair loss in a ratio of 2 to 1, that is, for every 2 new hair threads, one is lost..
AGA is caused by progressive, gradual shrinking of normal hair follicles that produce normal (terminal) hairs into miniturised hair follicles that produce fine (vellus) hairs. The terminal-to- vellus hair ratio, normally 2:1 gradually reduces until it is reversed. Although AGA is considered by most doctors to be a cosmetic condition, it can have significant psychological and physical effects on those affected by it. Almost all men and women with AGA begin to loose their hair prior to the age of 40 and many will commence loosing their hair by the age of 30. AGA is distinguished from all other types of Alopecia by it’s gradual onset. Men present with gradual thinning in the temporal areas, producing a V shaped frontal hairline. As baldness progresses, a bald patch appears on the crown of the head, which increases in size as the frontal hairline recedes. Eventually the receeding frontal hairline and the bald patch meet up, leading to loss of hair on most of the top of the head, whilst the hair around the base of the head remains intact. This pattern of hair loss is classified as Norwood/Hamilton stages 1- 7. Women usually present with diffuse thinning of hair on the crown of the head. This pattern of hair loss is classified as Ludwig stages 1-3. V shaped temporal recession does occur in women but usually to a lesser degree than in men. In general, women maintain their frontal hairline. AGA is inherited however, the exact mechanism of inheritance has not been determined. It is also likely that systemic or external factors also play a role. A Scalp Roller is an instrument consisting of a heavy duty plastic roller head covered in tiny stainless steel needles. (0.5mm ). The Scalp Roller, specifically for the use in hair treatments, has three separate actions on the scalp. The needles are designed to penetrate the stratum corneum, the hard outer surface of the epidermal layer of the scalp. Hundreds of tiny channels are created through the stratum corneum, which facilitate the passage and absorption of stem cells into the dermis to maximize it’s absorption by the hair follicles.the stem cells which are extracts of plants and purified contain growth factors which increase the immunity and help in decreasing hair fall , increase density and regrow the hair which are in inactive phase. The Scalp Roller also stimulates blood flow to the hair follicles via direct scalp massage. The third action of the Skin & Scalp Roller is to gently exfoliate excess skin cells which accumulate in the hair follicles, contributing to hair follicle malnutrition and ultimately hair follicle failure and everlasting hair loss. The needles of the Scalp Roller are long enough to assist in the penetration of stem cell products, but will not damage the scalp in anyway. It is normal for the scalp to be a little sensitive when scalp rolling is first commenced, but most people report no problems after 1 week. We recommend using the Skin & Scalp Roller gently at first, increasing the pressure on the roller as the patient becomes accustomed to the sensation of scalp rolling. It can be safely used in women and it help in increasing the density as well new growth of hairs . There are no side effects and the whole treatment is totally painless and you can assume work immediately after the procedure . Can the Scalp Roller be used for other forms of Alopecia? Previously minoxidil is being used with roller but now this new stem cell product which does not have side effect of minoxidil is being used with better results . it can be used for any type of alopecial. The exact type of treatment will be assessed duri ng the consultation and according the treatment is planned . Hair is extremely complex, consisting morphologically of several different cells and chemical species . 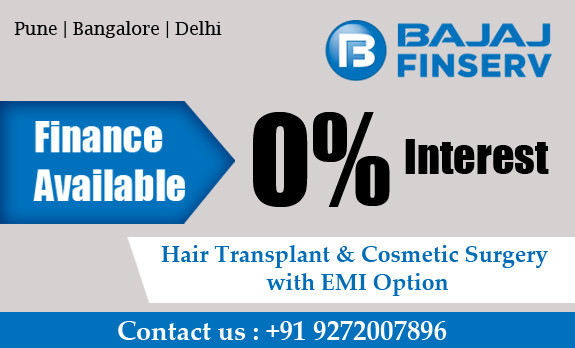 The hair root lies below the surface of the skin enclosed within a hair follicle which is in turn entirely encased in connective tissue and acts as the hair producing unit. The core of any hair follicle is the hair fiber, composed of three different types of epithelial cells: medullary, cortical and cuticular. The medulla, or innermost layer, is only present in large thick hair. The Inner Root Sheath (IRS) surrounding the hair fi ber is composed of three cell types: the inner root sheath cuticle, Huxley’s layer, and Henle’s layer. This IRS is surrounded by another cellular envelope known as the Outer Root Sheath (ORS). These cells are in contact with the dermal papilla situated at the base of the hair follicle. HOW DOES stem cell treatment with roller works ? Skin Needling and Facial Mesotherapy is most easily performed using a Skin Roller. The Skin Roller causes multiple tiny pin point puncture wounds to the dermis. This dermal damage induces the release of growth factors that stimulate the production of new collagen and elastin. New collagen production is the object of ALL skin resurfacing and rejuvenation treatments. Because the epidermis is left intact, the healing period is rapid. The skin does not everlasting structural damage, sun sensitivity, skin colour loss or hyper-pigmentation. 1. HRS – A mixture of Minoxidil, Biotin, D-Panthenol, Azelaic Acid, Zinc, Pyridoxine & Gingko Biloba. 2. MESOPECIA – A mixture of Finesteride, Biotin, Pantothenic Acid, Zinc & Pyridoxine. 3. ANDROPECIA – A mixture of Azaelic Acid, Biotin, Pantothenic Acid, Zinc & Pyridoxine.